Besen & Associates (www.besenassociates.com) has arranged the sale of a four-building portfolio including 2160 Matthews Ave., 1135 Pelham Pkwy. North, 1130 Pelham Pkwy. South, and 1540 Pelham Pkwy. South, all located in the Pelham Pkwy. section of the borough. The 336,427 s/f portfolio consists of four elevator apartment buildings containing 305 apartments and parking. 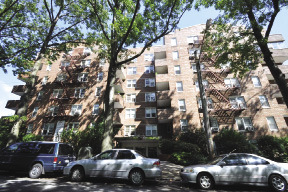 In what amounts to one of the largest multifamily sale recorded in the north Bronx in recent times, the transaction was completed for $53 million by Amit Doshi and Lynda Blumberg of Besen & Associates who represented the seller, the Putter family and the purchaser, Nppn-LP LLC and Nppn-BP LLC. 1130 Pelham Pkwy. South, known as The Marberloy, is a seven-story, 51,600 s/f brick structure containing 59 apartments with architectural features including terraces. It was constructed in 1956, and is built on a 105' x 100' lot. 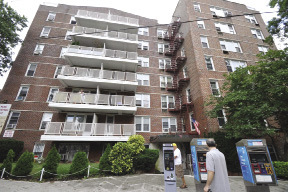 The property is located on the southwest corner of Pelham Parkway and Williamsbridge Rd. 1135 Pelham Pkwy. North is a six-story, 57,000 s/f brick structure containing 53 apartments, some of which include terraces. It was constructed in 1955, and is built on a 200' x 100' irregular lot. 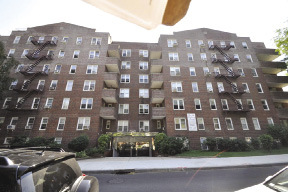 The property is located at the corner of Hering Ave. on the north side of Pelham Pkwy., and is the only multifamily building in the immediate area. 1540 Pelham Pkwy. South is a 91,705 s/f six-story brick building containing 60 apartments. It was built in 1953 on a 175' x 125' lot. It serves as the residence of families and especially for doctors who work at nearby Albert Einstein College Hospital and Jacobi Hospital. 2160 Matthews Ave., known as The Crystal House, is located just off Pelham Pkwy. and Lydig Ave. It is a seven-story, 132,122 s/f brick structure containing 133 apartments. It was constructed in 1964, and is built on a 400' x 100' lot. "This was an overnight deal that was eight years in the making," said Blumberg. "We'd been working on this deal with both parties since 2006," she continued. "Both the seller and purchaser are second generation families of developers from New York City, who had mutual respect for each other. The sellers were pleased to transfer their property to this buyer." 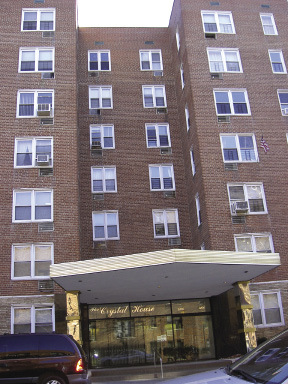 The complex was sold by the long-term owners, whose family were the original builders. The portfolio was purchased by a local private investor with sizable holdings in New York City. The sale price of $53 million equates to a 9.8 gross rent multiplier (GRM), $173,770 price per unit, $158 per s/f, and a 6.1% capitalization rate. 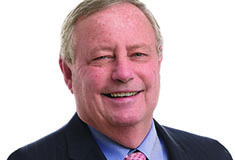 Barry Guaglardi, Esq. of Arturi, D'Argenio, Guaglardi & Meliti, LLP represented the seller and Michael Koenig, attorney at Law represented the purchaser.